The Spanish Final was held on February 22nd at the TVE TV Studios in Sant Cugat del Vallès, Barcelona, hosted by Anne Irgatiburu. The winner was chosen by televoting (50%) and an "expert" jury (50%). As there was a tie at the end of the voting, the televoting (which Ruth Lorenzo won) took precedence. 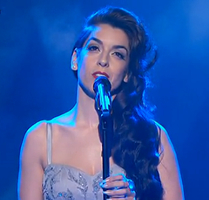 Ruth Lorenzo came equal 9th at the ESC.